A team, consisting of representatives of the circuit councils of the Southern and Eastern Circuits of our church, undertook the first visitation of the KZN Youth Pastor post. The visitation included a preparation meeting with the KZN Youth Council, a visit to the Rüstwoche and Outreach, a questionnaire distributed to congregations and a meeting with the KZN Youth Council and the Youth Pastor. The youth of our circuits were also encouraged to share their views in writing. This report is aimed at giving feedback to congregations regarding the visitation and making a formal proposal regarding the way forward for the KZN Youth Ministry. To train, motivate, inspire and maintain the youth to and in an active living faith in Jesus Christ, through which they will in turn invite and inspire other young people to follow Jesus and experience his unconditional love. · Planning, co-ordinating and leading regional youth camps (see below). · Leadership training once or twice a year at ministry conferences and representatives meetings. Congregation and Hubs can request more localised training. · Administration – financial administration and other management and supervision tasks, as well as reporting, planning and social networking. The current Youth Pastor is Pastor Udo Lütge. · An Executive made up of the Youth Pastor, 1 member elected by the Southern Circuit, 1 member elected by the Eastern Circuit and 2 members co-opted by the youth council. 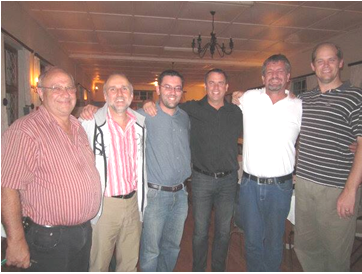 The executive elects a chairperson, secretary and treasurer from its midst. The terms of office for the elected members is 3 years and they are elected at the combined youth ministry conference, which takes place every 3 years. · 3 members elected by the Eastern Circuit. The term office is 3 years and 1 of these members is up for election every year by representatives of the Eastern Circuit at the youth ministry conference. · 3 members elected by the Southern Circuit. The term office is 3 years and 1 of these members is up for election every year by representatives of the Southern Circuit at the youth ministry conference. Durban/Coastal Hub: This hub does not employ a youth worker. It is led by a Hub Leadership Team under Hub Co-ordinator. The Hub Co-ordinator is Lungelo Msimang, who has also been elected to the KZN Youth Council. Pietermaritzburg/Midlands Hub: This hub has decided to concentrate its effort on Pietermaritzburg. This congregation has employed a youth pastor, Pastor Petra Röhrs, in a reduced post which is partially funded by the KZN Youth Hub Fund. 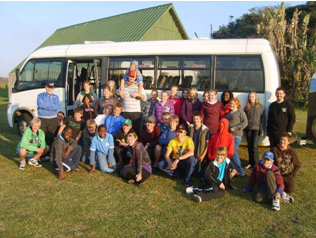 This post is responsible for the youth ministry in the Hayfields Congregation, but also focuses on a Student Ministry that benefits other KZN congregations. Eastern Circuit Hub: This hub has employed a youth worker, Maika Lilje, in a 50% post that is partially funded by the KZN Youth Hub Fund. This post is responsible for regional youth ministry in the Eastern Circuit. The Youth Council also views Hermannsburg School as a valuable resource for our youth ministry and sees it as a so-called “fourth hub.” The school has a school pastor in a 50% post, paid for by our church. In our youth ministry we have recognised that many of our leaders in the regional youth ministry come from this school and these leaders come to us well equipped. This school therefore remains a valuable asset that should be promoted. 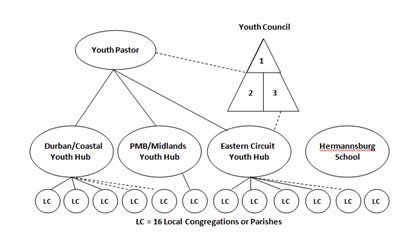 It is important to note that in this structure, local youth ministry is still the responsibility of the local congregations! The youth pastor, youth council and youth hubs are responsible for regional work and are resources that congregations can make use of to help them with their own local youth work. The aim of our camps is to bring young people (from our church and beyond) together to experience fellowship, receive teaching and to be equipped for life in general and an active life of faith in particular. vii. Church Festival Youth Camps – Brass Band Festival and Choir Festival Camps in April/May. · Jugendtag – Eastern Circuit; Youth Service, Bible Quiz, Sport, Dance. · Weihnachtsparty – 26 December; alternating between Eastern Circuit and Southern Circuit; Sport, Youth Service, Dance. · Jugendvertretertagung (Youth Representatives Meeting): Eastern Circuit weekend in August every year; includes: Youth “AGM”, reporting, elections, leadership training, strategic planning and team building and ends with a Service in one of our Eastern Circuit Congregations. · Southern Circuit Youth Conference: 1-day conference includes Youth “AGM”, reporting, elections, leadership training and strategic planning. · KZN Youth Conference – Combined eastern and southern circuit conference once every 3 years; the next one will take place in 2014. · Webpage – Exists, but not regularly updated due to human resources issues. In addition to this our structures are responsible for the administration of our youth ministry, including the management of finances and people, planning, communication, reporting, etc. It is, however, crucial that local congregations recognise their responsibilities in all of the above. The regional youth ministry is dependant on congregations for communication, the promotion of regional events and participation at events. It is especially important that the leadership of local congregations, parents and other interested people participate at the annual representatives meetings or ministry conferences and that they communicate information, reports and invitations to their congregations. i) KZN Youth Pastor Fund – the KZN congregations together pay 25% of the cost of a pastor for the 25% Youth Pastor post into this fund annually. ii) KZN Youth Hub Fund – the KZN congregations together pay a further 25% of the cost of a pastor into this fund to finance the 3 youth hubs. The congregations are thanked sincerely for their financial contributions towards this ministry. i) The KZN Youth Ministry has over the years impacted positively on the lives of many young people. The ELCSA (N-T), its Congregations and the church at large, have benefitted from this in various ways. Amongst others, it has provided individuals with spiritual growth, built up their self-confidence and sense of worth, provided skills for various talents, encouraged and enabled a willingness to serve both as leaders and team members, stimulated acceptance of people with diverse cultures and societal standing, provided the space for and supported the building of relationships. The visitation team is grateful for the continued work done by the youth council, its Pastor and helpers. 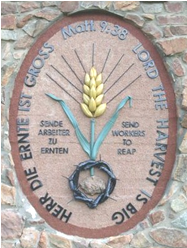 The visitation team found the Rüstwoche to be well run by a diverse team of leaders. The theme work, group events, workshops, quiet time and devotions, fun and sport activities and free time were well-planned. The visitation team felt that this programme is effective in equipping young people and helping them to mature in faith. It is one of the strengths of Rüstwoche that space is created for all manner of people from different cultures and with different preferences in terms of language, music, etc. The diversity of our church is well represented at Rüstwoche and this camp is a visible sign that they can and do belong together. All of this was reflected in the closing worship service, which was very much a team effort actively involving the youth and included both traditional and more contemporary aspects of worship. ii) Pastor Udo Lütge has further developed the inherited positive legacy of the KZN youth ministry, through his “bubbly” personality. His passion for youth ministry, and especially the individual young person, is one of the greatest contributors to the successes of the Ministry. He is experienced by many as a trustworthy confidante. He sees the future of the youth ministry positively and sees room for further development and growth. iii) While sentiments regarding the KZN Youth Pastor post vary, the visitation team took note of the very positive views expressed by the youth themselves and by those who are directly involved in the ministry. Based on what they experienced of the youth ministry over the last months, the visitation team wishes to express its support for the continuation of the post within the present structure. iv) Special effort should be made to improve communication in its various forms. On the one hand, it is noted how crucial it is that congregations communicate the information sent to them by the youth pastor and council effectively – congregations are requested to do so conscientiously. On the other hand, the youth council is encouraged to communicate to congregations more regularly – one way they could do this is to prepare a quarterly “Youth Post” (similar to the Bishop’s Post) for newsletters. The youth council is commended for its regular reporting to church council and synod. It was also noted that the youth conferences are an annual opportunity for contact with congregation representatives. Congregations are encouraged to attend these events and to ask representatives to give feedback to council and/or congregation. v) The visitation found that opportunities for leadership training are created by the youth pastor and council, but that these are mostly not made use of by the congregations. The congregations – and particular its youth leaders and councillors – are encouraged to make use of the leadership training on offer. Congregations should also recognise that they are responsible for equipping their youth leaders for their work. vi) Youth council members are encouraged to be more visible in the local congregation. This would also help to keep congregations better informed and to build relationships with congregations. Congregation leaders and members are encouraged to take the time to read the detailed visitation report, which gives further information, including letters written by youth and responses by the youth council. 2. The above payment is obligatory. Application for remission can be made to circuit council. Such application shall be made in writing furnishing suitable reasons for remission. Any shortfall in payments is to be financed by the KZN Youth Hub Fund and/or voluntary additional contributions by congregations. a. At the end of October of each year, a letter shall be written to each congregation informing them of the outstanding balance on the above payment. The letter shall also inform them of the option to apply for remission. b. The congregations shall have two weeks to communicate to circuit council how much of the outstanding balance they are able to pay by 31 December of that year. If any congregation is unable to make full payment, they must apply for remission in writing furnishing suitable reasons for remission. c. At the latest by the end of November a further letter shall be written to congregations to inform them of the total shortfall and requesting voluntary contributions towards this shortfall. If there is still a shortfall, the remaining outstanding amount will be taken from the KZN Youth Hub Fund. 3. Three Youth Hubs are to be financed from the KZN Youth Hub Fund: Durban/Coastal, Pietermaritzburg/Midlands and Eastern Circuit. The Youth Hubs are fully responsible for the structure of and work in their own hubs. They can request assistance, advice, training, etc. from the Youth Pastor. For each hub an accountability structure shall be constituted. Financial assistance from the KZN Youth Hub Fund is to be requested from the Youth Council in writing. The application shall include a Hub Budget, an indication of how the funds applied for will be put to use and a description the Hub Structure that is to be funded. The Youth Council decides on all aspects of each application in consultation with the Deans of the relevant circuit. As a rule, each hub may receive a maximum of up to 1/3 of the annual contributions to the above fund. However, exceptions may be made to this rule at the discretion of the Youth Council and the Dean. Each hub is part of the youth ministry of the ELCSA (N-T) in KZN. Workers in the hubs should therefore participate in the activities of the KZN youth ministry as far as possible, including youth camps, youth council meetings and leadership training.